Often people say they don’t have the time to eat healthy. Our busy work schedules and family demands can make it difficult. But it is not impossible – if you have a good reason for doing so. Why wait until a health crisis, such as a heart attack or diabetes, forces you into making changes. The risk of permanent damage isn’t worth it. How much better it is to make proactive, mindful decisions that support you in building an excellent life now. The evidence indicates that proper nutrition plays an important role in the prevention of various physical and mental health problems. A balanced mood, sustainable levels of energy and feelings of wellbeing can be cultivated by ensuring that our diet provides adequate amounts of protein, complex carbohydrates, essential fats, amino acids, vitamins and minerals and water. So, what is your WHY? 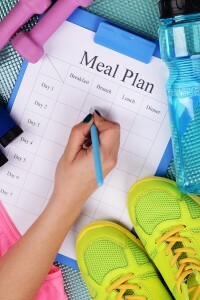 Why do you want to improve your eating habits? To prevent disease or needless pain? To have more energy so you can participate more fully in life? To see your children and grandchildren grow up? To look more attractive? Whatever your reason is, hold onto it. That vision will keep you motivated. 1. Commit! Just decide you’re going to do it. Involve those who eat with you by asking what they do and don’t like to eat. Even children as young as five or six can be included in this discussion. When you can factor their preferences into your plans, you can avoid discouraging, negative feedback. 2. Make a cheat sheet for your shopping trip. List plenty of veggies, fruits, and protein that you want to always keep on hand in the kitchen. This list will keep you from being distracted by the candy and chips aisles at the store. It will keep you on the outside aisles of the store where the healthy food is. And remember, don’t shop when you’re hungry. The money you save by not buying junk food will allow you to splurge on more varieties of healthy food. Don’t be afraid to try something new. 3. Prepare your meals for the week on Sunday. Plan two or three recipes for dinners and use the leftovers for lunch the next day. Cut up your veggies and fruits and put them in the fridge in see-through, separate containers. This simple step makes it so much easier to build your salad, have a quick snack or prepare an easy side dish. 4. Pre-make your breakfast. Breakfast IS the most important meal of the day! You can save a lot of time by preparing yours ahead of time. Did you know you can make a big batch of green smoothies and freeze them in mason jars? The night before simply move one to the fridge and it will be ready for the next morning. Give it a shake or a stir and you’re good to go. Or you can make little egg-veggie muffins for a quick bite when your meeting is at 7am! 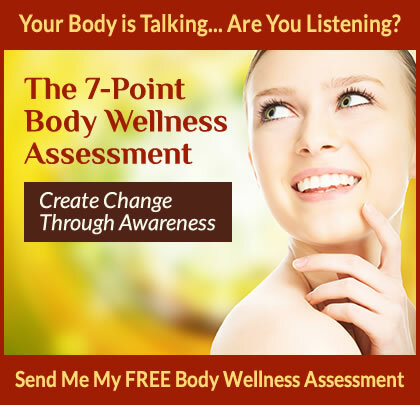 If you haven’t you received your free copy of The 7-Point Body Wellness Assessment yet, download it right now. It will help you determine the pivotal action that you need in order to create real change in your life.